Show everyone you are a person of exquisite taste. 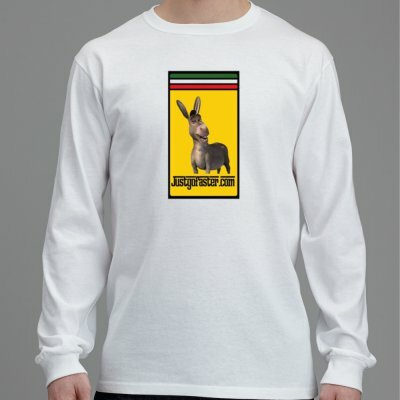 The classic JustGoFaster donkey shirt says it all. Long-sleeved t-shirt. Heavy cotton. Pre-shrunk.